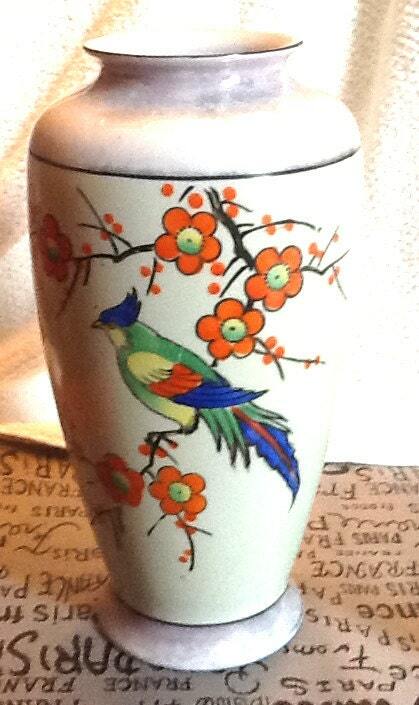 Mid-century (mid 1950s) Tashiro Shoten hand-painted lusterware, pearlized vase with poppies and bird of paradise. Made in Japan. 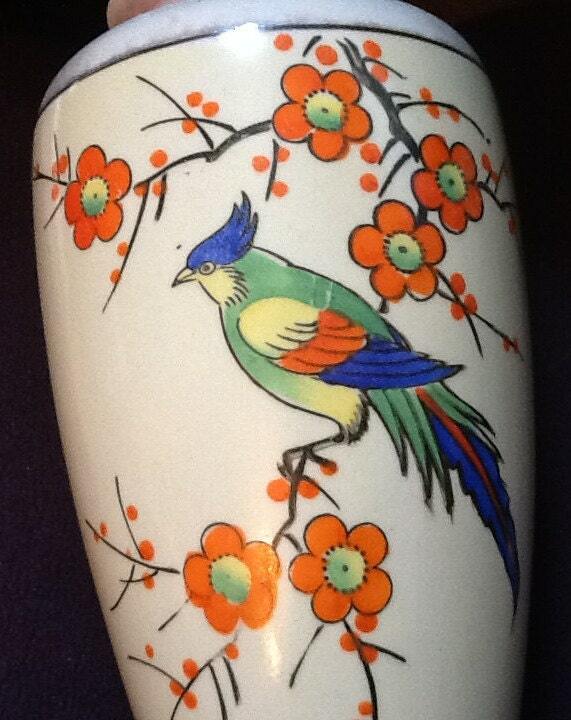 Mid-century (c.1954) Tashiro Shoten hand-painted lusterware, pearlized vase with poppies and bird of paradise. Made in Japan. 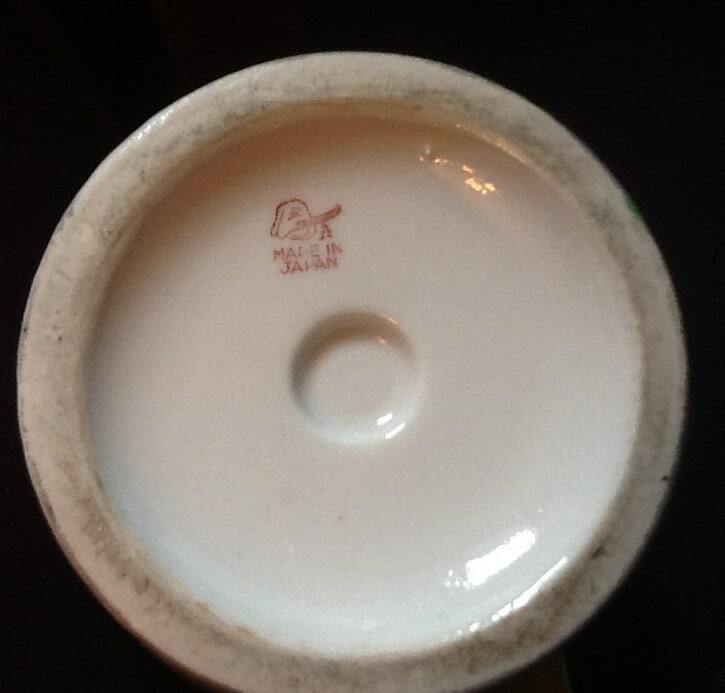 Has the Tashiro Shoten elephant head mark to base, dating the vase to around the mid 1950s. 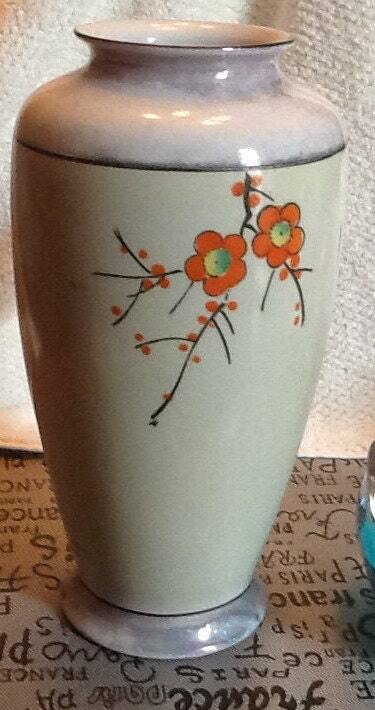 A truly beautiful vase it figures a prominent, multicolored bird of paradise amidst a profusion of orange poppies on one side and a bouquet of poppies on the other. 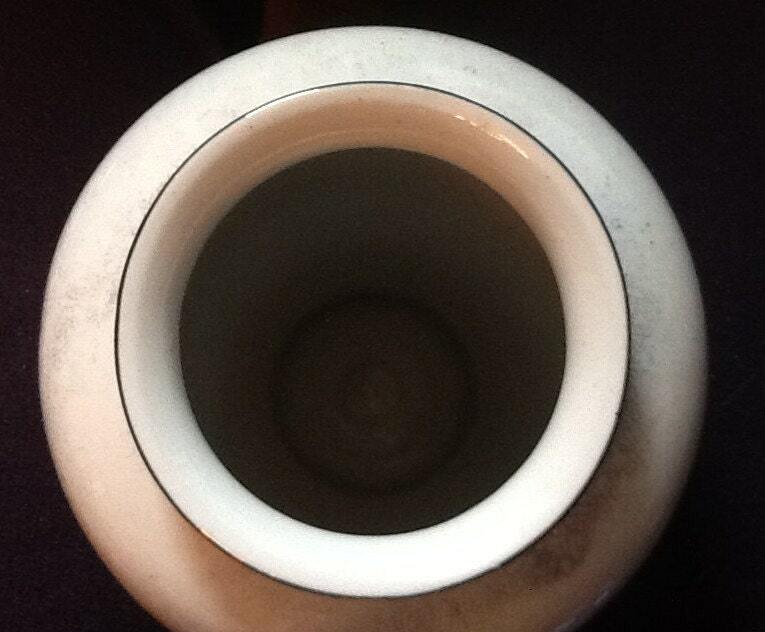 Pearlized lavender lusterware base and rim. Just lovely! In EXCELLENT vintage condition with NO! chips, cracks, fleabites or crazing and NO! signs of use, wear or repair.